The past week has made it very clear that Donald Trump has zero concern about the truth. Let’s focus today on Trump’s lies. Trump’s claims about “thousands and thousands of people” in New Jersey celebrating the 9/11 attacks have already been debunked by both The Post’s Glenn Kessler and PolitiFact’s Lauren Carroll, so we don’t need to belabor them here. So let’s focus on the lies not covered in the above tweet. [W]ouldn’t you know it: It contains a wee racial error. It claims that most whites are killed by blacks, but in 2014, which is the latest full-year homicide data available from the FBI, 82 percent of whites were killed by other whites and only 15 percent were killed by blacks. Trump’s tweeted graphic swaps the the numbers for the offender’s race — but only for white victims. For black victims, the numbers in the graphic are roughly correct. This makes it look like blacks kill everyone. By wildly inflating the likelihood of a murderer of a white person to be black (an exaggeration of nearly sixfold), Trump is catering to the worst sort of racism. Perhaps the icing on the cake of this anti-black outburst is that the source of information cited in the tweet — the “Crime Statistics Bureau” of San Francisco — doesn’t seem to exist. What’s equally as disturbing as the bogus crime statistic is that, according to Raw Story’s Travis Gettys, that figure came from a virulently anti-Semitic Twitter account. Mr. Trump: “Not many. Nafta was a disaster. Not many. We could have great deals.” He then detours into corporate inversions, made-in-Japan backhoes, currency devaluation, Chinese hotel furniture, the recent GOP debate and the [WSJ] editorial he disliked. For the record, Mr. Trump always knew China wasn’t a party to the Pacific pact. It’s pretty much impossible to be a “100% free-trader” and not support any trade liberalizing agreement. The rest of the interview is depressing reading for any trade policy wonk. He proposes threatening a trade war with China to obtain unspecified concessions from Beijing, a policy that would likely be an economic and political disaster. In the interview, Trump demonstrates zero knowledge about the World Trade Organization specifically or international trade in general. All of this is, unfortunately, consistent with Trump’s Big Lie about the global economy. So to sum up: Trump has lied so many times about so many things during the past week that it’s difficult to keep track of all of them. But it doesn’t matter whether one focuses on Trump’s attitudes about crime or American Muslims or trade policy. He lies about all of these issues. 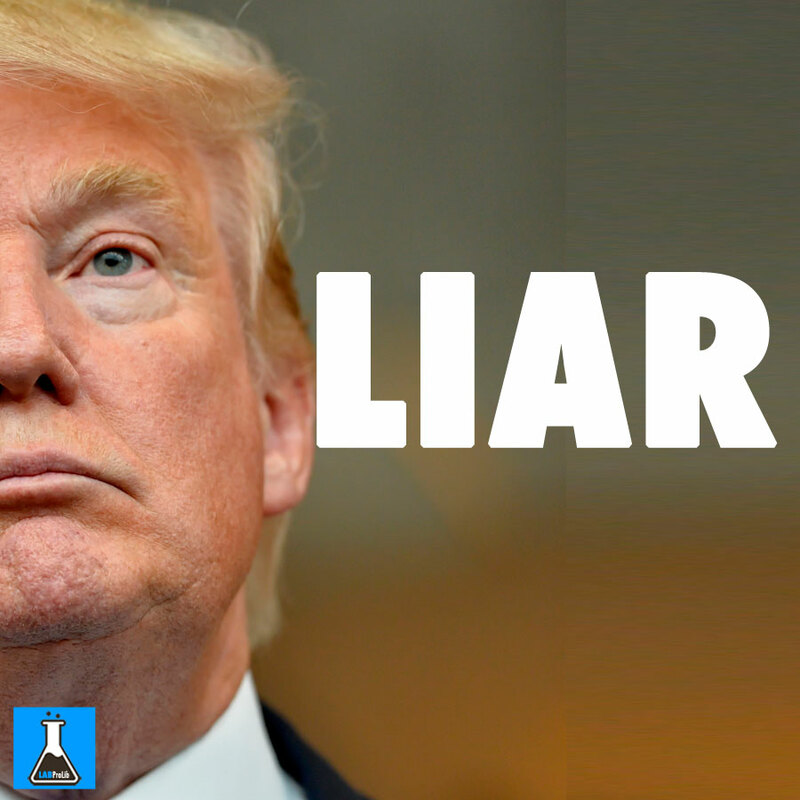 And he will continue to lie as long as it works for him.